Welcome to the world of Beadcraft! 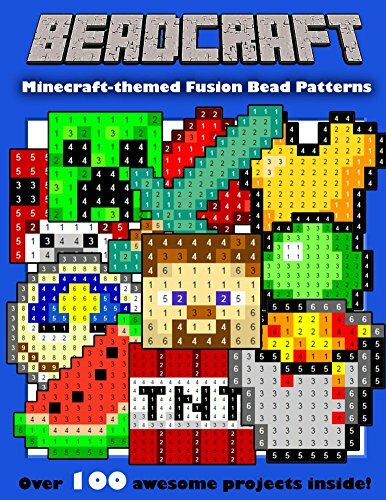 Soon you’ll be crafting your very own animals, mobs, potions, weapons, armors and much more–over 100 fun patterns for fusion beads. Each pattern is provided in a simple color-by-numbers format. Perfect for birthday parties, craft events, and Minecraft lovers of all ages! This high-quality book is printed in full-color to help bring your creations to life. Order now for hours of entertainment. Works with Perler, Hama, Fuse, Melty, Nabbi, and any other fusion bead.